Hey son, come see what we got in the mail today. Mom! A movie, can I watch it? We watched the movie, I had to leave for some reason, so I didn't see the ending. He asked "Can we watch it again mom? I want to see if I can do better." .......This is a great educational tool. The beginner level reviews show bird flash cards and what makes a bird special. The more advanced levels quiz the viewer on bird facts and broader scientific terms related to birds. So the lad likes this movie. He just watches it. He answers the questions. He knows the video well enough now that he gets them all correct. This is good this yes? :) He doesn't get bored. It was good listening to him and his Dad answering the review questions at the end of the video. 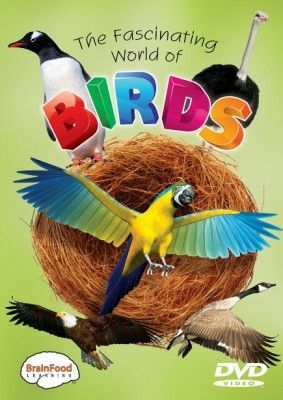 Review your birds, review bird facts, review bird features and review the words used. I'm just glad he likes them. They introduce new terminology (called Big Words). They talk about a variety of birds. Birds featured in this video include ostrich, penguin, goose, owl, hummingbird, woodpecker, macaw, pelican, American Robin, and eagle. 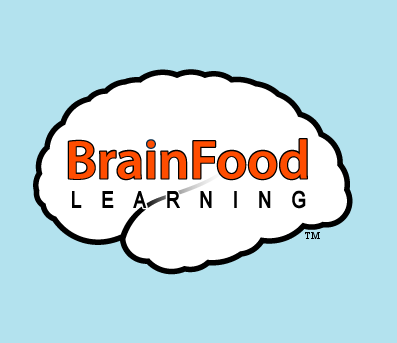 As I was preparing this review BrainFood Learning sent me a link to a free curriculum for this video. How awesome is that? You can find that here. :) I found it an excellent way to reinforce the video learning. If you want to know what others think of this video or the others in the series insects and mammals, click on the banner below to be taken to those reviews.